The purpose of this paper is to investigate how organisations of the Cyprus tourism sector perceive, understand and apply the concept of Corporate Social Responsibility (CSR) and how they determine their priority areas. In addition, the paper will try to highlight how the tourism sector understands and perceives its role in relation to the 17 global Sustainable Development Goals. A quantitative research was carried out by collecting data from businesses operating in the tourism sector in Cyprus. The research indicated that there is a need to increase awareness of the tourism sector regarding the importance for crafting a CSR strateg y which has to be aligned with the corporate purpose. This was the first attempt to study the perceptions of the Cyprus tourism sector in relation to the global sustainable development goals. The results are expected to assist organisations of the tourism sector to better understand the current challenges and set their priorities on how to align CSR related activities to the global sustainable development goals. Antonaras, A. and Kostopoulos, A. (2017) ‘Stakeholder Agriculture: innovation from farm to store’. In T. Tarnanidis, M. Vlachopoulou and J. Papathansiou, Driving Agribusiness with Technology Innovations. Hershey, PA: IGI Global: 125-147. Dahlsrud, A. (2008) ‘How Corporate Social Responsibility is defined: an Analysis of 37 Definitions’, Corporate Social Responsibility and Environmental Management, Vol. 15: 1–13. Asrar-ul-Haq, M., Kuchinke, K. P. and Iqbal, A. (2017) ‘The relationship between corporate social responsibility, job satisfaction, and organizational commitment: Case of Pakistani higher education’. Journal of Cleaner Production, Vol. 142: 2352-2363. Benckendorff P. and Moscardo, G. (2015) ‘Education for Sustainability Futures’. In Education for Sustainability in Tourism. Berlin: Springer: 271-283. Cyprus Sustainable Tourism Initiative (CSTI) (2017) ‘About us’, Cyprus Sustainable Tourism Initiative (CSTI) (2017). Available at http://csti-cyprus.org/?page_id=8, accessed 29 August 2017. Cyprus Tourism Organisation (2017) ‘About us’. VisitCyprus.com. Available at http://www.visitcyprus.com/index.php/en/about-us, accessed 29 August 2017. De Lange, D. and Dodds, R. (2017) ‘Increasing sustainable tourism through social entrepreneurship’. International Journal of Contemporary Hospitality Management, Vol. 29, No. 7: 1977-2002. Dodds, R. (2010) ‘CSR among Canadian mass tour operators: good awareness but little action’, International Journal of Contemporary Hospitality Management, Vol. 22, No. 2: 221-244. European Commission (2017) A renewed EU strategy 2011-14 for Corporate Social. Available at http://eur-lex.europa.eu/legal-content/EN/TXT/PDF/?uri=CELEX:52011DC0681&from=EN, retrieved 12 December 2017. 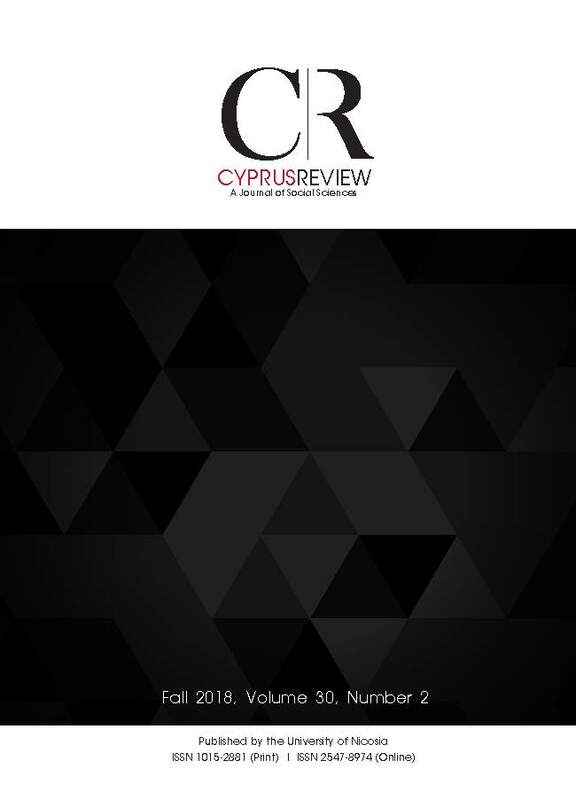 Farmaki, A., Constantis, P., Yiasemi, I. and Karis, P. (2014) ‘Responsible Tourism in Cyprus: the rhetoric and the reality’. Worldwide Hospitality and Tourism Themes, Vol. 6, No. 1: 10-26. Goodwin, H. and Francis, J. (2003) ‘Ethical and Responsible Tourism: consumer trends in the UK’, Journal of Vacation Marketing, Vol. 9, No. 3: 271-284.
International Organisation for Standardization (2010) ISO 26000, Guidance Standard on Social Responsibility. Geneva: International Organisation for Standardization. Lee, T. H. (2017) ‘The status of corporate social responsibility research in public relations: A content analysis of published articles in eleven scholarly journals from 1980 to 2015’, Public Relations Review, Vol. 43: 211 – 218. Lund-Durlacher, D. (2015) ‘Corporate Social Responsibility and Tourism’. In G. Moscardo and P. Benckendorff (eds). Education for Sustainability in Tourism - A Handbook of Processes, Resources, and Strategies. Berlin: Springer: 59-73. Netherlands Enterprise Agency (2018) ‘Corporate Social Responsibility’. Netherlands Enterprise Agency (2018). Available at https://english.rvo.nl/topics/international/corporate-social-responsibility, retrieved 12 December 2018. Postma, A., Cavagnaro, E. and Spruyt, E. (2017) ‘Sustainable tourism 2040’, Journal of Tourism Future, Vol. 3, No. 1: 13-22. Responsible Tourism Institute (2017). The 17 Sustainable Development Goals: fulfilling the resolutions of the World Summit on Sustainable Tourism. Santa Cruz de Tenerife: Responsible Tourism Institute (RTI). Available at http://www.sustainabletourism2017.com/sustainable-development-goals-tourism/, retrieved 21 August 2017. Statistical Service of Cyprus (CYSTAT) (2018, November 30) ‘Press Release – Demographic Report 2017’. Nicosia: Statistical Services of Cyprus. Statistical Service of Cyprus (CYSTAT) (2018, December 7) Statistical Service of Cyprus Monthly Economic Indicators (Bulletin) Jan – Oct 2018. Nicosia: Statistical Services of Cyprus. Swarbrook, J. (1998) Sustainable Tourism Management. Wallingford: CAB International. UNESCO (2015) Sustainable tourism. Paris: UNESCO. Available at http://www.unesco.org/education/tlsf/mods/theme_c/mod16.html, retrieved 17 December 2017. United Nations (2017) ‘Sustainable Development Goal 8’. Sustainable Development Goals Knowledge Platform. Available at https://sustainabledevelopment.un.org/sdg8, accessed 21 August 2017. United Nations (2017) ‘Sustainable Development Goal 12’. Sustainable Development Goals Knowledge Platform. Available at https://sustainabledevelopment.un.org/sdg12, accessed 21 August 2017. United Nations (2017) ‘Sustainable Development Goal 14’. Sustainable Development Goals Knowledge Platform. Available at https://sustainabledevelopment.un.org/sdg12, accessed 21 August 2017. United Nations Global Compact (2016) ‘Food and Agriculture’. UN Global Compact.org. Available from https://www.unglobalcompact.org/what-is-gc/our-work/environment/food-agriculture, accessed 29 August 2016. United Nations Global Compact (2017) United Nations Global Compact Progress Report: Business Solutions to Sustainable Development. New York, NY: UN Global Compact. Available at https://www.unglobalcompact.org/library/5431, accessed 19 December 2017. United Nations Industrial Development Organisation (UNIDO) (2017) ‘What is CSR?’. UNIDO.org. Available at https://www.unido.org/our-focus/advancing-economiccompetitiveness/competitive-trade-capacities-and-corporate-responsibility/corporatesocial-responsibility-market-integration/what-csr, accessed 17 December 2017. United Nations World Tourism Organisation (UNWTO) (2015) Sustainable development of tourism. Madrid: UN World Tourism Organisation. Available at http://sdt.unwto.org/content/ about-us-5, accessed 17 December, 2017. United World Tourism Organisation (UNWTO) (2017) The tourism sector and the sustainable development goals, Madrid: UN World Tourism Organisation and UN Global Compact Network. United Nations World Tourism Organisation (UNWTO) (2017) Tourism and the SDGs. Madrid: UN World Tourism Organisation. Available at http://icr.unwto.org/content/tourismand-sdgs, Retrieved 21 August 2017. Visit Scotland (2015) ‘What is sustainable tourism?’ VisitScotland.org. Available at http://www.visitscotland.org/business_support/sustainable_tourism/what_is_sustainable_tourism. aspx, accessed 17 December 2017. World Travel and Tourism Council (WTTC) (2017) ‘Economic Impact 2017 – Cyprus’. London: World Travel & Tourism Council. Available at https://www.wttc.org/-/media/files/reports/economic-impact-research/countries-2017/cyprus2017.pdf, accessed 6 June 2017.